In a previous post, I tracked the shift in Parables studies away from the allegorical methods of the medieval church to the “one point per parable” method of Adolf Jülicher. In the next several posts I want to talk about a few other scholars who developed Jülicher’s ideas in the twentieth century (Dodd and Jeremias) and a short note on the rise of literary studies of parables beginning in the 1960’s. 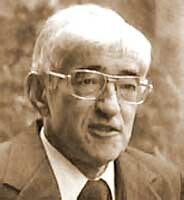 In this post I want to briefly look at the work of John Dominic Crossan on the parables. One problem is that he has written so much that it is almost impossible to summarize him fairly in 500 words. I thought to omit him from this survey, but his work seems to be the best example of postmodern literary technique applied to the parables. As a founding member of the SBL Parables group, John Dominic Crossan followed Funk’s lead in his work on the parables in a bewildering number of articles which employ at various times virtually every literary-critical method. As an engaging writer, reading Crossan is always a joy, but one is always left wondering what he really thinks. At times he seems to be playing with the parables and other literature just because he can. He creates new combinations of diverse literature which challenge in unanticipated ways, but ultimately leave one wondering if there is anything in his reading which Jesus might have recognized as one of his parables! For Crossan, the parables are the “preaching itself and are not merely serving the purpose of a lesson” (In Parables, 21). Crossan argues “the parable does not belong to the realm of didactic tools and pedagogic tactics but comes from the world of poetic metaphors and symbolic expressions” (“Parable and Example,” 87). Yet parables are not allegories, because an allegory can still be reduced to some propositional statement. Because of this assumption that the parables are art, Crossan is free to approach these stories as stories, employing a structuralist or deconstructionalist method. Crossan eventually turns Jesus into a Cynic teacher and dispenses with most of the parables as having much historical value at all as words of Jesus (The Historical Jesus). In his later writings, Crossan has argued that parables are polyvalent: parables are capable of many meanings since they are capable of being read in many contexts (“Metamodel for Polyvalent Narration”). The interpreter “plays” with the parable and creates a new and unique meaning from the plot of the parable. The same reader may return to the text on multiple occasions and develop quite different readings of the same parable. The reader has changed and may sense new connections and insights from the same text. Crossan has made a pass at the parables from the perspective of deconstructionism as well (Cliffs of Fall). Crossan argues that metaphor of a parable creates a “void” which requires the reader to create meaning through the “free play of interpretations.” These “free plays” can include anything, juxtaposing a parable of Jesus and a modern poem might result in interesting, new insights. The result is interesting to read, but seems to be about as far from the meaning of historical Jesus as a reader could get! While I do think that assumption and reader-context bear on the interpretation of a text, I am not sure that the resulting interpretation should be confused with the original meaning of the text. I suspect that those attracted to a full-blown reader response interpretation of the parables will not particularly care about the author’s original intent, or simply despair that it is possible to discover that intent. Is it possible to read the parables as polyvalent, metaphors which are capable of almost limitless meaning, and still consider the text of the Gospels authoritative in any sense of the word? Does Crossan’s concept of polyvance help the reader of the parables at all? “Parable and Example in the Teaching of Jesus.” Semeia 1 (1974): 62-104. “Metamodel for Polyvalent Narration.” Semeia, 9 (1977): 105-47. Cliffs of Fall: Paradox and Polyvalence in the Parables of Jesus. (New York: Seabury Press, 1980). In Parables. (San Francisco: Harper, 1985). The Historical Jesus: The Life of a Mediterranean Jewish Peasant. (San Francisco: HarperSanFrancisco, 1991). “The result is interesting to read, but seems to be about as far from the meaning of historical Jesus as a reader could get!” This says it all about Crossan! P. Long asks the question, “Is it possible to read the gospels as polyvalent, metaphors which are capable of almost limitless meaning, and still consider the text of the Gospels as authoritative in any sense of the word”? Seeing that Crossan thinks that “the interpreter “plays” with the parable and creates a new and unique meaning from the plot of the parable”. I am not sure that Crossan thinks that much of the sayings of Jesus in the Gospels actually came from him. To assume that the parables can be a “wide open interpretation” based on the whims of the one reading it can leave plenty of room for eisagetical error. Jesus had one meaning of his parables with a little room for alligorization but not a “free play of interpretation”. John Crossan’s approach to the interpreting the parables is problematic in my opinion. The statement from Crossan which caught my eye was his opinion that parables come “from the world of poetic metaphors and symbolic expressions”. I believe this sort of approach to interpretation compromises the intent of Jesus’ teachings by taking advantage of the unique literary style of the text. If we reduce the parables to stories which may or may have not been said by the historical Jesus, we also risk missing out on their applicable teachings on morality and truth. Crossan also asserts that a new and unique meaning can be constructed every time the reader works through a parable. I believe this is a dangerous statement because, although a deeper understanding may be inspired through further study, I believe that biblical understanding is the work of the Spirit (John 14:26) as opposed to human reconstruction. Ignoring intended meaning(s) and leaning on human intellect for understanding can quickly lead to a “watering-down” of truth. I feel the same as scott, that it would cause a lot of problems if people read the teaching and took it however they wanted, and then make it authoritative because it’s scripture. We have to go by exactly what the scripture says and have to take the examples Jesus gives. I feel that if we read it and interpret it how we want, (which may be wrong), then we can claim that it’s authoritative and say that Jesus said it, when really Jesus meant something completely different. We don’t want to look at the parables as stories because then its not authoritative. I believe that Jesus taught these parables with a purpose and a point and it has one main point that He was trying to make. We can’t just make metaphors out of His text and distort the image of God. Of course the scripture and the parables in it are open to interpretations. Having the Holy Spirit in us allows us to gain deeper and more thorough understanding of the intended meaning of what was meant in the Parables. I am against taking the parables seriously by way of interpreting them as polyvalent, metaphors which are capable of almost limitless meaning, and still consider the text of the Gospels authoritative in any sense of the word. That doesn’t sit well with me. But that is under the conviction category for me, so this is just my belief about parables. I have never really thought of this as being a way of interpreting parables. It is really interesting, but at the same time it kind of makes sense that this is a way to view things. I do not really like the idea of the “limitless” ideas concept. It just reminds me too much of people thinking that there are multiple ways to be saved… I don’t know. Plus, I am pretty confident in believing that Jesus told the parables to the people to convey a specific message or to make a certain point. With other Scriptures, I do see how you can learn something new from the different times you read it, but parables are pretty cut and dry. I like what Scott said about how if we just turn Jesus’ teachings into stories then we are going to miss out on the truth that He has to offer. Strauss gives several things to keep in mind while interpreting the parables and one of them is to “seek the primary point of the parable” (451). In a parable, there is typically just one main point that He is trying to get across, and with that I do not feel like there is room to come up with different meanings and “stories” for each parable and teaching.